In 1931, Major J.S. Matthews’ extensive personal collection of photos and documents relating to Vancouver was moved to the Holden Building, Vancouver’s temporary City Hall at 16 East Hastings. 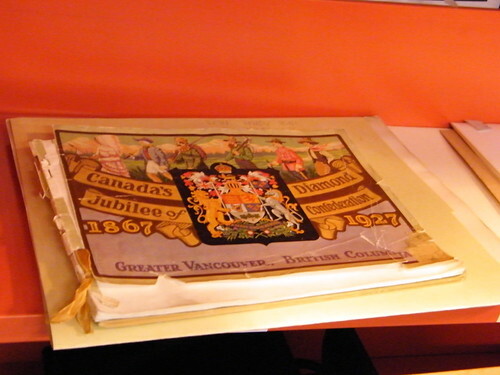 This included thousands of documents and photographs, such as interviews with early pioneers and aboriginal people, relating to the history and development of the City of Vancouver. 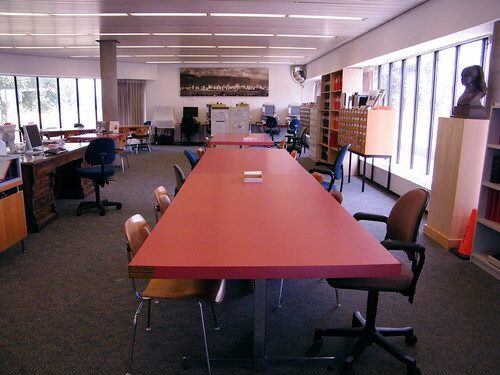 In 1972 the Vancouver Archives building that we know today (at 1150 Chestnut) opened. 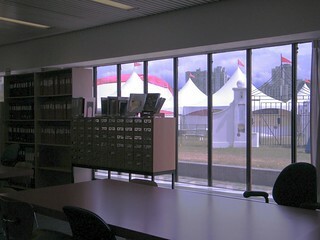 It was the first building in Canada built specifically as a city archive and is called the Major J.S. Matthews Building. Thanks to Major Matthews, we have collections of early photographs, stored maps and documents to help tell the story of our city’s growth throughout its 126-year history. If you’re interested, there’s a 7-volume book called “Early Vancouver” — now available online — that was written by Matthews between 1931 and 1956. There’s also a book about Major Matthews by Daphne Sleigh called: “The Man Who Saved Vancouver“. 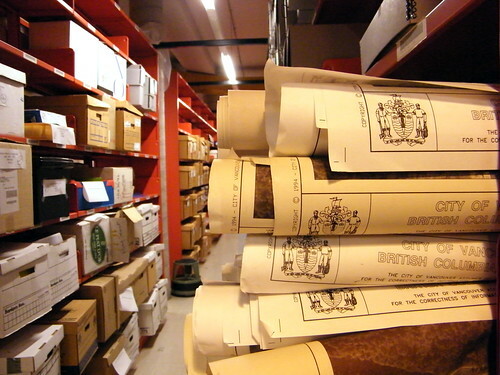 The archives have a host of information, documents, and resources in person, online, and on their blog. You can stop in to do research, browse old photographs, and purchase prints, post cards, note cards, pamphlets, DVDs, and more. I was fortunate enough to get a behind the scenes tour in 2009 and use it often as a resource. The first “Vancouver Day” was celebrated in 1925, with the date chosen by Mayor L.D. Taylor, although its last occurrence was in 1929. 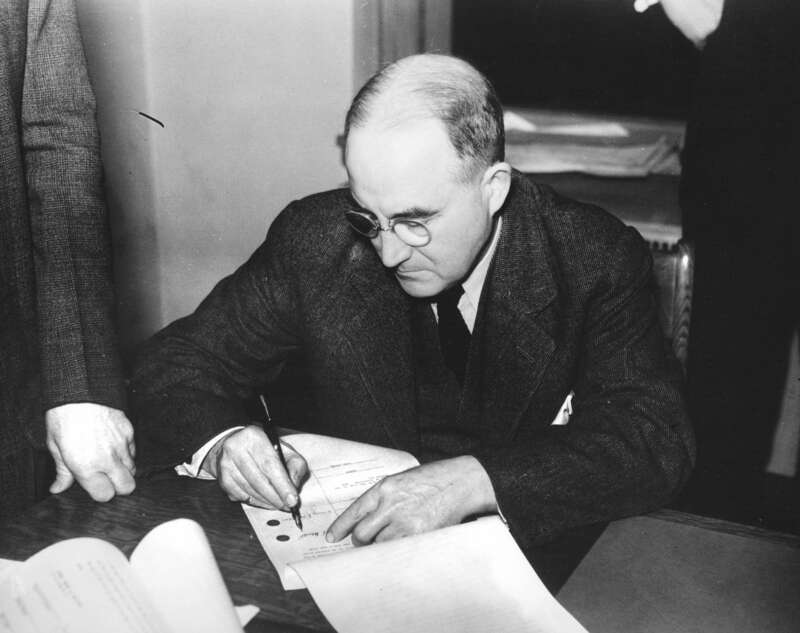 I wanted to take the opportunity to wish every a Happy Vancouver Day today and offer praise to the Vancouver Archives for carrying on Major Matthews’ work while they move forward with preservation and digitization. 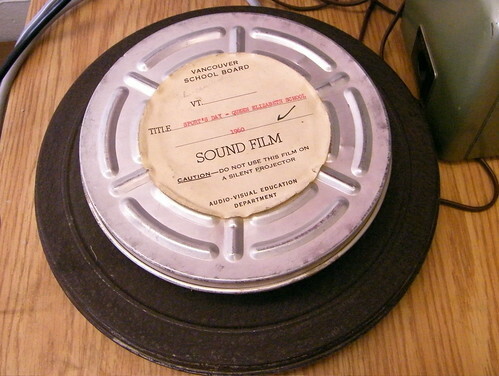 Follow the Vancouver Archives on Twitter, YouTube, Flickr, History Pin, or their blog. I used the archives for the first time for some work-related research a few weeks back. What an amazing treasure trove we havean that anyone can dive into! I’m looking forward to my next research project! 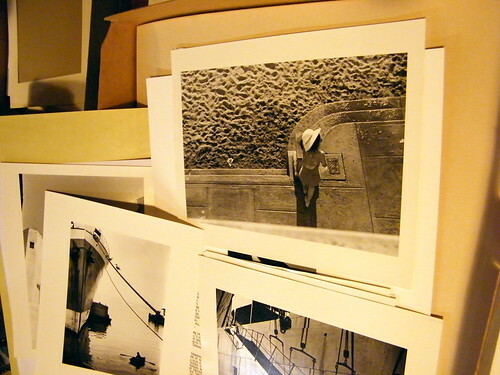 I live in Gastown and have wonderful photos from the Archives of my home (along the rails) from many years ago. What a wonderful keep sake but also a really cool gift to give someone. They do great work! In recognition of the Anniversary of Captain Vancouver’s visit, Jim McKenzie was commissioned to paint a picture of what Vancouver may have looked like at the time of his discovery. The original hangs in Vancouver’s Mayor’s office, you too can purchase a copy of this beautiful print.